Heartbroken parents whose family had already been devastated by suicide twice in three years have spoken of their overwhelming grief after their third and only remaining son took his own life at the weekend. 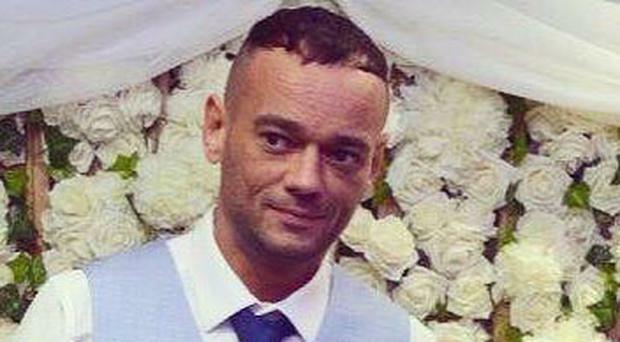 Stephen Ferrin (31) had been reported missing last week and was later found after an appeal but, tragically, was discovered dead at his home in north Belfast on Saturday just days after his return. Mr Ferrin, who has a seven year-old daughter and has been described by his mum, dad and sisters as "a handsome, bubbly and witty young man", is understood to have been treated in hospital shortly before his death. It is the fourth tragedy to hit the wider Ferrin family, as two of Stephen's brothers - Kieran (24) and 19-year-old Niall - died after taking their own lives, as did his cousin Christopher, who was also 19 years old. Speaking to the Belfast Telegraph, Mr Ferrin's parents, Patricia and Eddie, paid a touching tribute to their beloved son, whom they cannot believe is gone. "Stephen is a father, a brother and a son who is cherished and deeply loved and he will be sadly missed by all his friends and family," they said. "He was a handsome young man, who was very witty, and who had lots and lots of friends. "His death is devastating to us, to his friends and to the whole community and we would like to bury him with dignity and the respect he deserves." Family and friends continued to call at the Ferrin home yesterday to offer comfort and sympathy to Patricia and Eddie, and Stephen's sisters, Danielle Blake and Seaneen Ferrin, who are struggling to make sense of the tragedy. The Belfast Telegraph understands that, in recent years, Stephen lost at least five close friends to suicide, as well as his two brothers and their cousin. His brother Kieran Ferrin, who was in his early 20s, was beaten unconscious and left with facial injuries in a sectarian attack in Ardoyne five months before he took his own life in February 2014. Three years previously, in 2011, his 19-year-old brother, Niall, also took his own life, having also been the victim of a brutal sectarian attack at the age of 15. He was beaten unconscious with a golf club at Cliftonpark Avenue by a loyalist gang. The family were also dealt a brutal blow in 2010 when their cousin, Christopher Scott-Ferrin, took his own life days after he ran in tears from the Mater Hospital A&E unit where he had waited all day to see the mental health team. Stephen is thought to have been injured when he went missing and he was eventually found in Londonderry before being transferred to Antrim Area Hospital for medical treatment. His grieving parents are inconsolable after he took his own life just days after being discharged. They are being comforted by Kate and Alec Ferrin, the parents of his late cousin Christopher. The young man was sent to the hospital by his GP for an emergency psychiatric assessment as he had been suffering from suicidal thoughts. But he spent eight hours in the hospital where he was only seen by a triage nurse and an A&E doctor. Despite the promise of an urgent assessment, the traumatised teen left the hospital after more than eight hours without help and took his own life in an east Belfast park five days later. Kate spoke out publicly shortly after her son's death, saying that people who are crying out for help need care in a safe and controlled environment. She was reacting after a 22-year-old man and close relative was sent home from the same hospital only hours after threatening to take his own life in September 2012. "They are just not listening, the lessons should have been learnt by now. How many other people is this happening to?" Kate said at the time. The family said that Stephen's funeral will be held later this week.